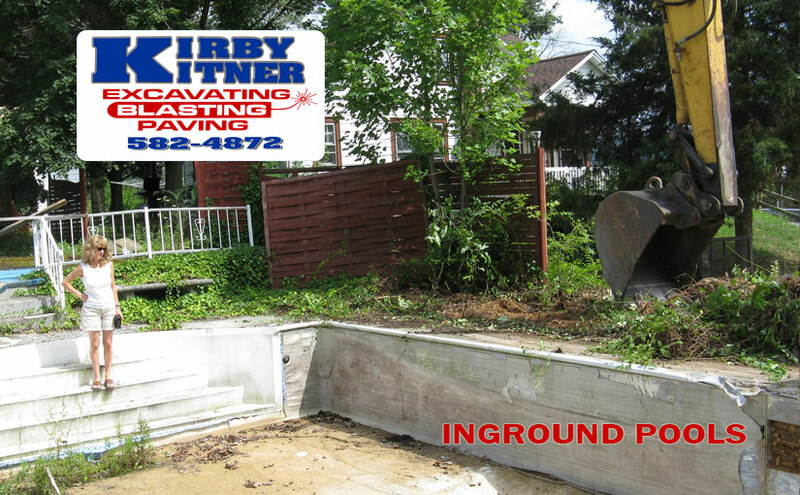 Whether you are considering adding a beautiful above ground pool or removing a dilapidated pool, Kirby Kitner can help you prep the site. His experience will be very helpful to get the results you want. Considerations include site preparation, size, features, fence requirements. 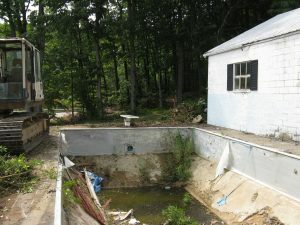 Sometimes a swimming pool has fallen out of repair or no one uses it anymore. Pools are a lot of maintenance and it is time to make the pool into a beautiful backyard. This was a nice pool at one time. 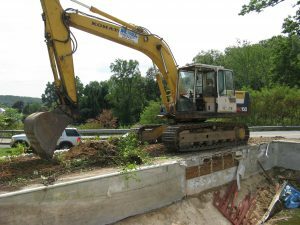 Removing In ground pool in a tight place. 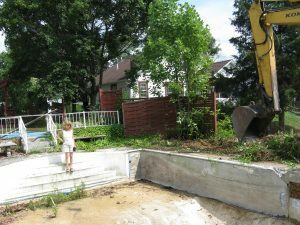 Removing in-ground pool near the house. 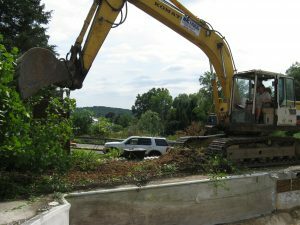 Removing inground pool with excavator.